There’s no doubt by now that you’ve seen us banging on about how beautiful the Scottish Highlands are and how much we loved our visit. 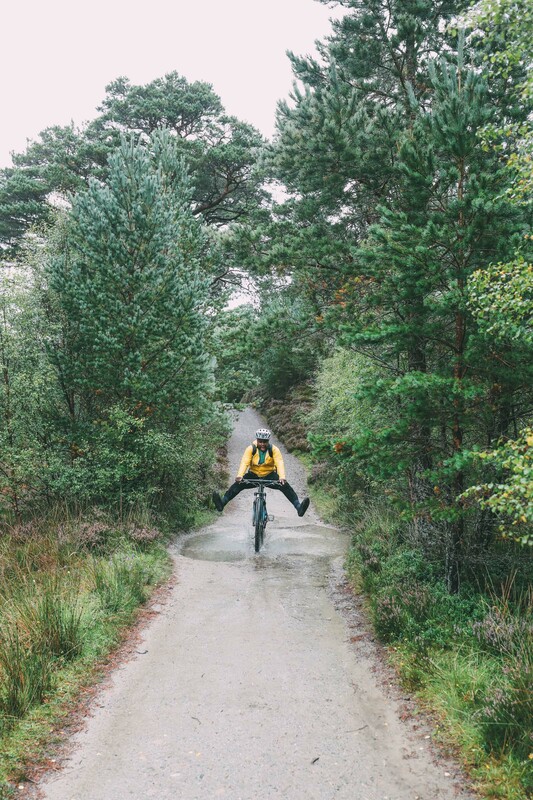 From the stunning beauty of the Cairngorms, foraging for seaweed for lunch, the Wester Ross Trail and driving part of the North Coast 500 – Scotland really spoilt us during our visit. Heading back north to Scotland was a homecoming, of sorts. Before Yaya started at Cambridge, we both studied at St. Andrews (on the east coast) but for some silly reason, we never made it into the Highlands. This trip was to remedy that fact! 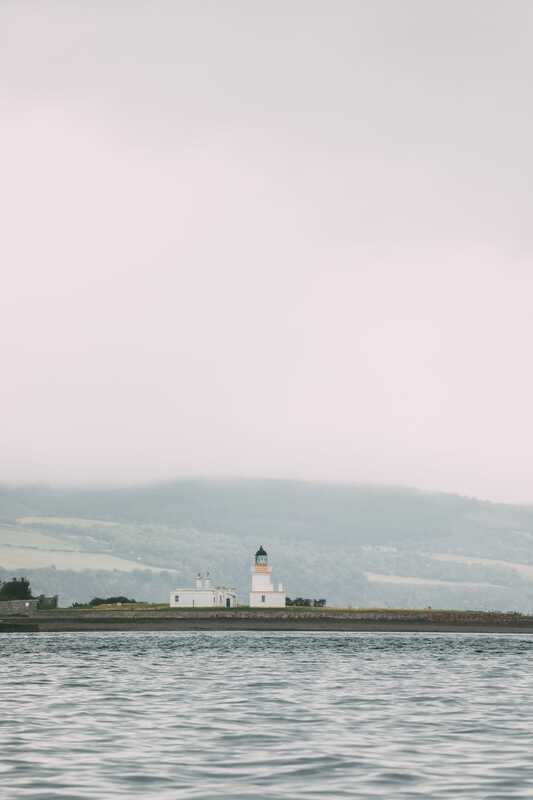 After living in Scotland for about 4 years, I quickly realised that (just like much of the UK) that it’s not just a summer destination, there’s every reason to go out, explore and discover some of the hidden gems that we were itching to see. 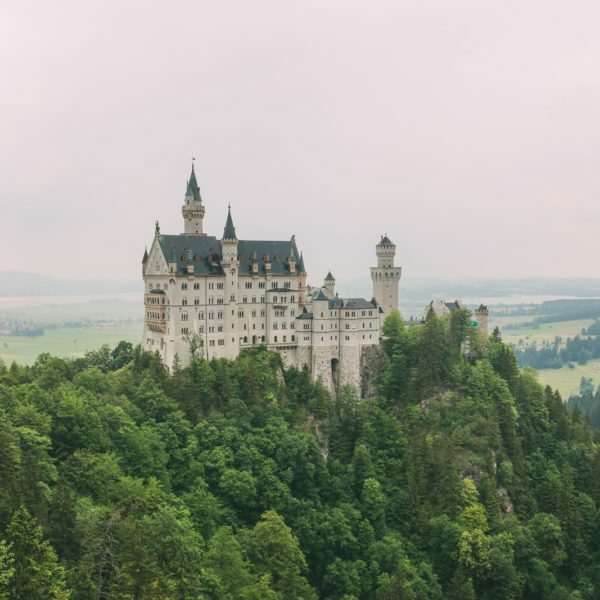 Best of all, most of the places we found were actually so close to some of the better-known spots, meaning they can be easily tagged onto your trip if you’re looking for something a bit more hidden but no less iconic. 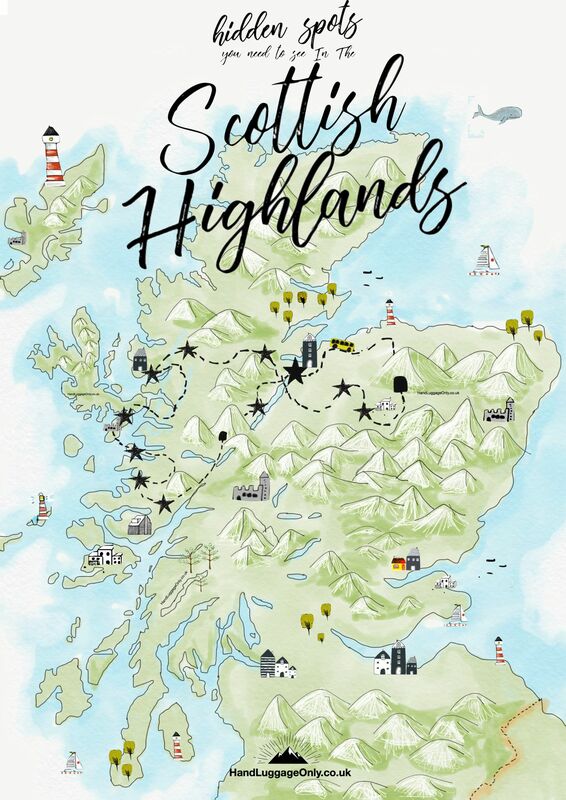 To make life a little easier, we wanted to share the route that we drove around the Highlands so that you can dip into the regions, areas and experiences that you’d like yourself. Take a look at our full itinerary, below. How to get to the Highlands? 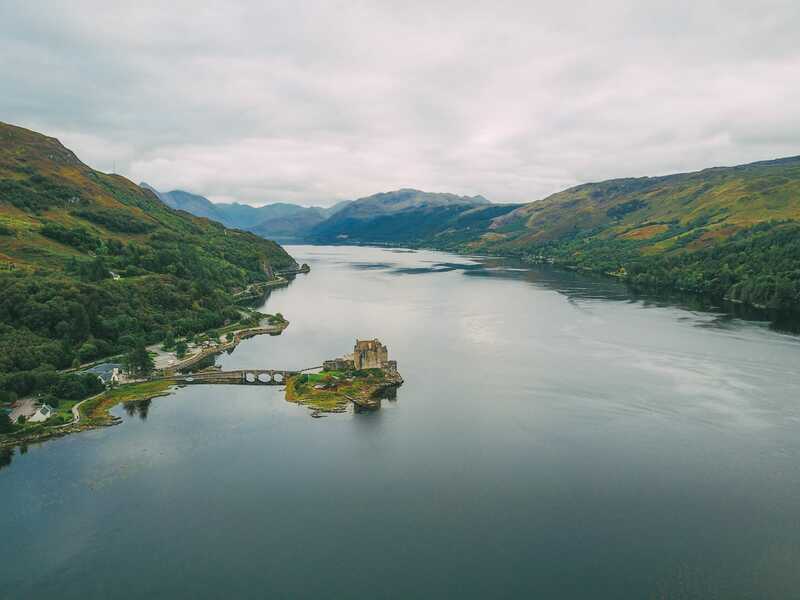 There are quite a few ways to get the Highlands, either by train, plane or car. 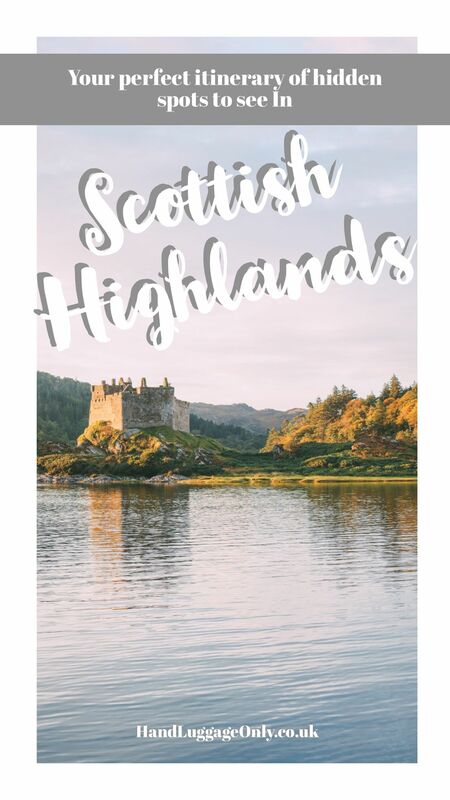 We travelled to the Highlands via the Caledonian Sleeper where we boarded around 8:30 pm in the evening from London Euston and woke up about 12 hours later in the heart of the Highlands. We had our very own cabin with a crisp-linen bed that is perfect. The gang even walk you up about an hour before arrival in Inverness with a hearty Scottish breakfast. We went for the smoked salmon, eggs and some oats. 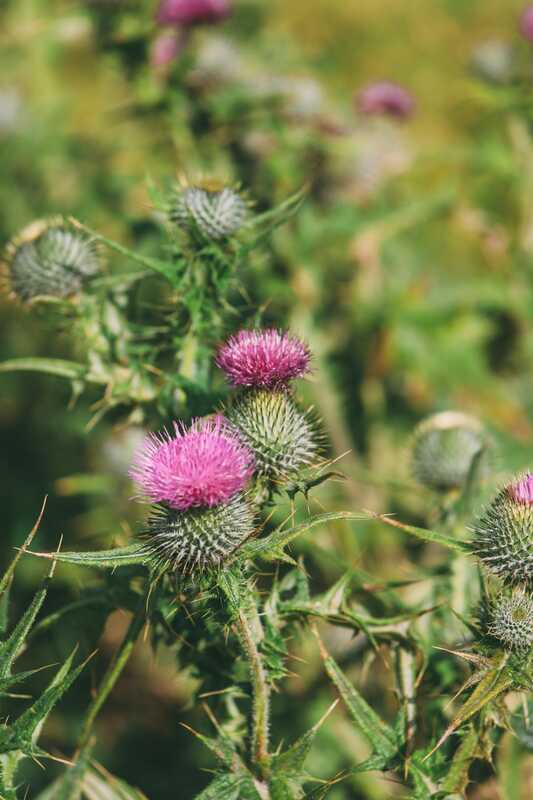 What To Eat in the Scottish Highlands? 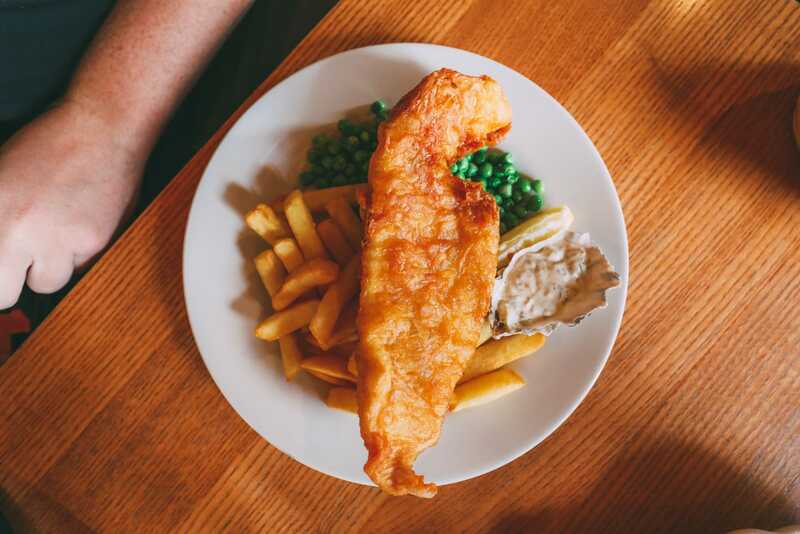 Scotland is one of those countries that has a heap of good quality, delicious and locally produced dishes that everyone should try at least once, with the Highlands being no exception. 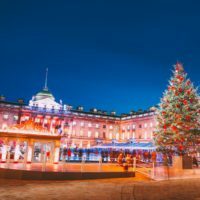 It doesn’t matter what time of year you’ll visit – you’re guaranteed a tasty range of treats you have to try. 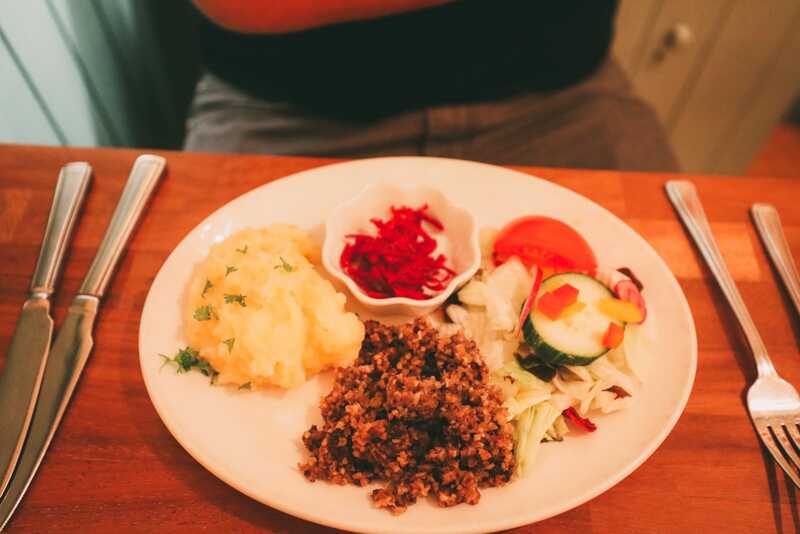 Take a look at our list of dishes you should try whilst in Scotland right here. 09:00 Arrive in Inverness: on the Caledonian Sleeper and hop into a taxi outside the train station to pick up your hire car. 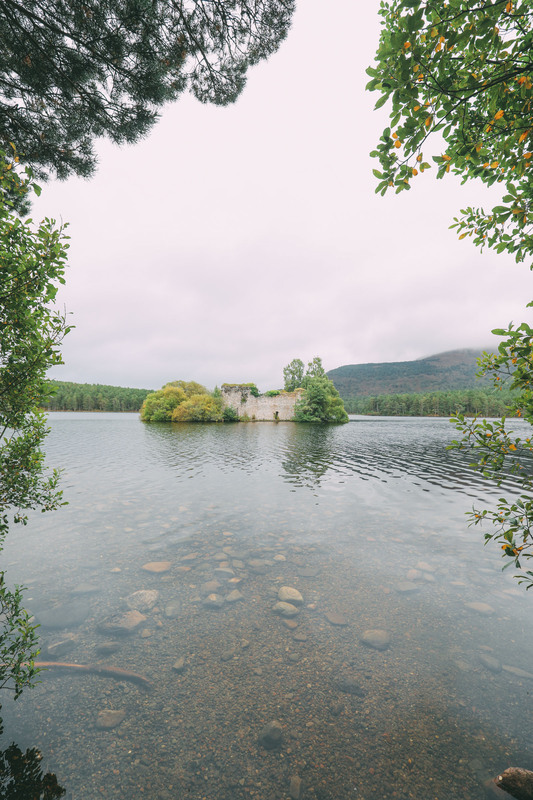 10:00 Drive to Rothiemurchus: this drive will take you about 45-minutes and you’ll end up smack bang within the UK’s largest National Park, The Cairngorms. 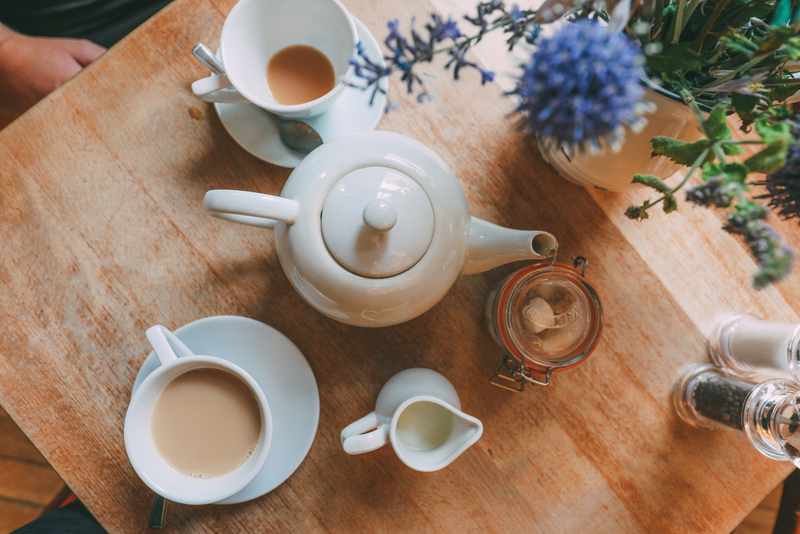 11:00 Stop for a Scottish tea: Before you head out exploring The Cairngorms, are sure to stop for a hot brew of Scottish tea at The Druie Restaurant Cafe. If you’ve got a case of the elevenses, grab yourself one of their greed-inducing homemade cakes. I promise, you won’t be able to resist once you see them. The Druie Cafe is based in the Rothiemurchus Centre Inverdruie (here’s the postcode for the GPS PH22 1QH). 12:00 Adventure time: After a little tea break, book yourself into a quad biking exploration of the region or (river height permitting) tubing down the river (with Full On Adventure), whilst zooming down the natural water shoots and rapids. Both are great ways to explore a little slice of the region and really get the blood-pumping. Also, if you prefer, you can pop over to see some of the deer in the area too! 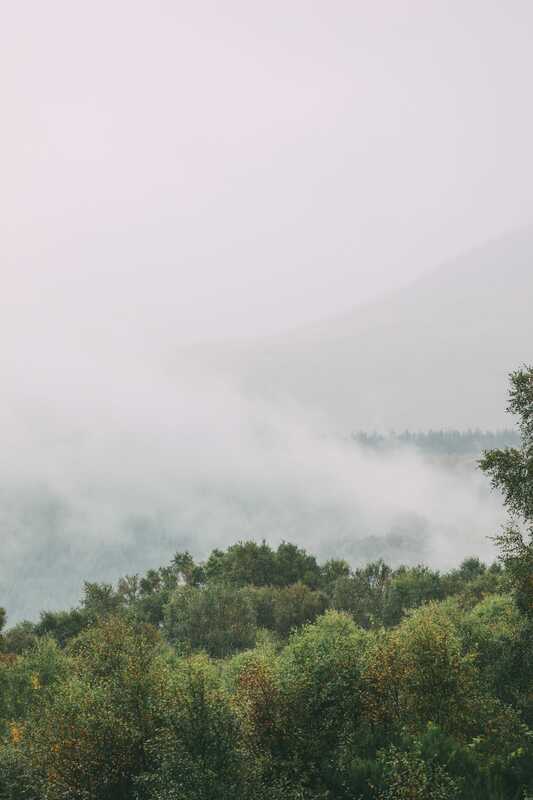 14:30 Head for lunch: After working up an appetite with quad biking or tubing, make another little pitstop at the Druie Restaurant and make sure to try their local venison dishes that are soooooo delicious. 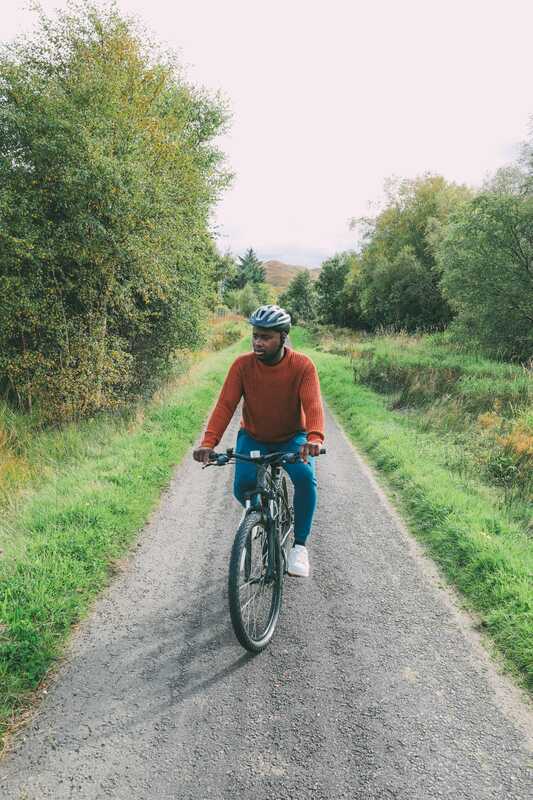 15:30 Bike ride the Green Loch: Cycle to Lochan Uaine (Green Loch) after picking up your cycles from In Your Element (across the road from the Druie Restaurant) make sure to head for Glenmore Forest Park and visit Lochan Uaine, which is great to see. 17:30 Drive to your B&B: After a day of adventure, drive back towards Dulnain Bridge (about 30 minutes) to check into your B&B. We stayed at the amazing Bydand B&B with feels like a dream. The rooms are gorgeous and the crackling fire downstairs is incredible. We wished we could have stayed forever. Isobel also makes the most delicious Scottish breakfast… fit for royalty! 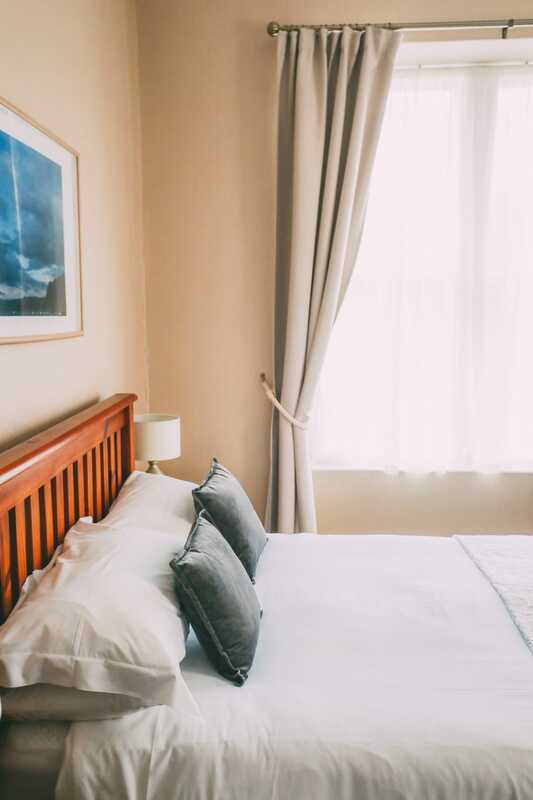 If you want to book Bydand B&B, you can reserve and contact the team, here. 20:00 Dinner: After some well-earned rest and relaxation, head over to the Old Bridge Inn in Aviemore which is a good place to go for food. As we mentioned, the service was not the best but you can forgive it as it’s really busy. Best of all, after 10 pm, the Old Bridge Inn hosts live (and intimate) concerts. We got the chance to see The Burning Hell & Jeffry Lewis, from New York City – PS, they’re not as scary as their name sounds. 08:30 Drive from Dulnain to Kinlochewe: The drive itself will take around 120-150 minutes, depending on how many times you stop. 09:30 Stop at Rogie Falls: On your way east, stretch your legs at Rogie Falls and if you’re lucky, you might even spot the salmon jumping upstream. 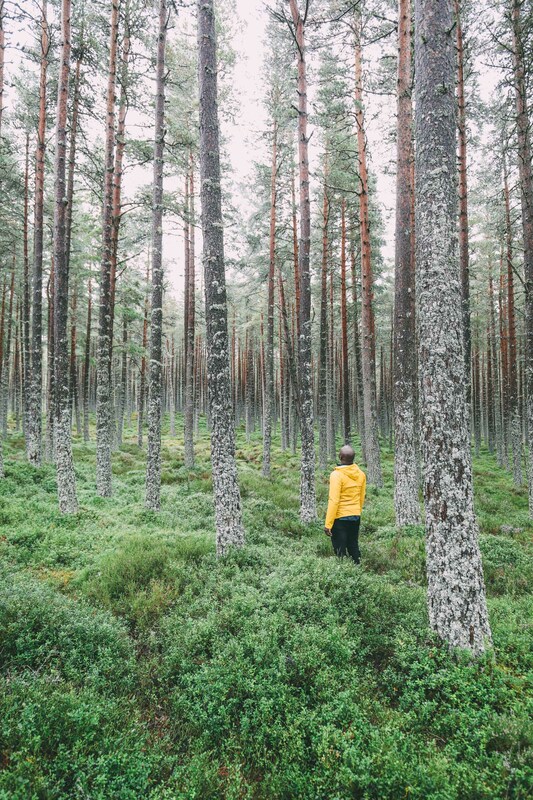 11:00 Go for a stroll: After Rogie Falls, continue driving to Beinn Eighe National Nature Reserve that’s filled with ancient pinewoods, dramatic mountains and lots of trails. 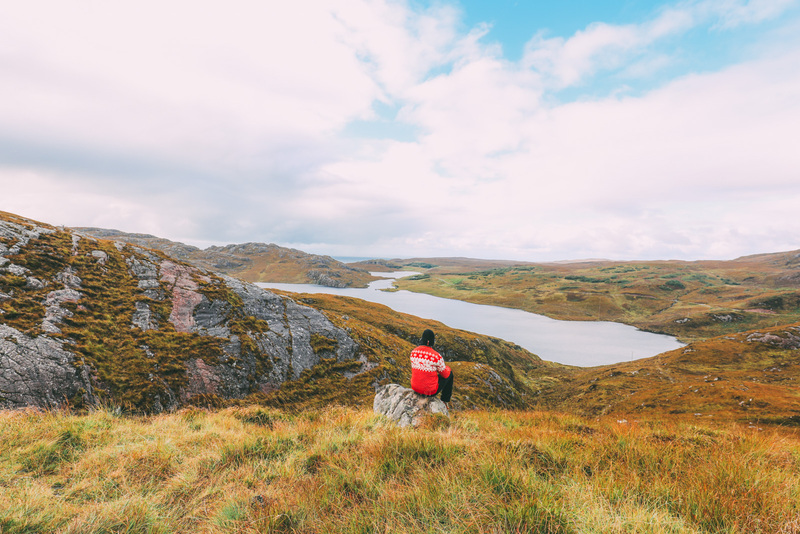 Once you arrive, head to the Beinn Eighe Visitor Centre where you can speak to the rangers (Douglas helped us), find out the best trail that suits you and learn how to spot some of the golden eagles that call this region home. 12:00 Drive Kinlochewe -Torridon: The drive itself will take about 40 minutes, with some of the most spectacular mountain scenery in Scotland (shhhhh, don’t tell the others). 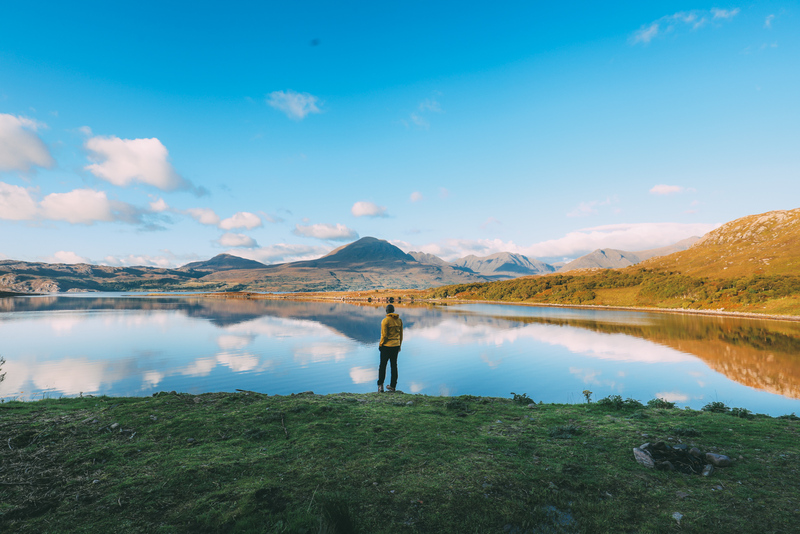 The whole region has become the world over for its stunning walking trails and gorgeous views of Liathach, 1,054 m (3,456 ft) and the mighty Beinn Alligin, 985 m (3,230 ft). 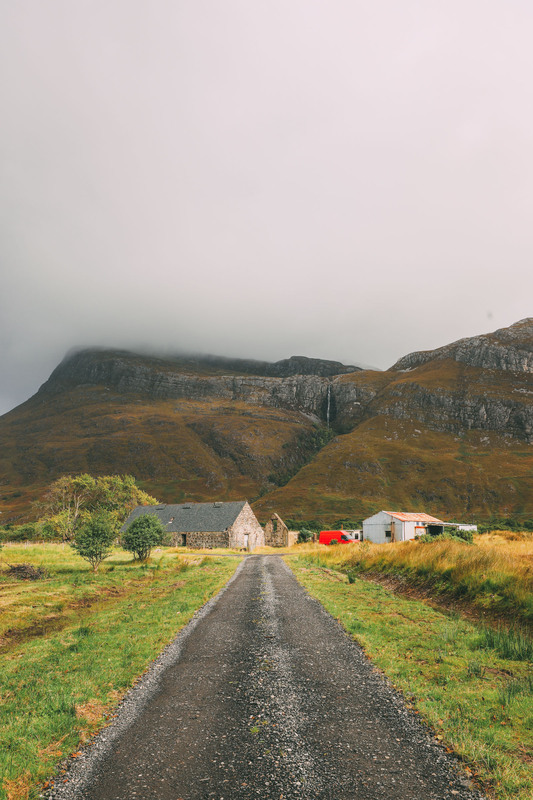 12:40 Drive Torridon – Lower Diabaign: After the incredible views of Beinn Alligin, keep driving for another 30 minutes or so to Lower Diabaign where you’ll find the hidden gem that is, arguably, the prettiest little hamlet in all of Scotland. Take a wander around the tiny harbour, see the shipwreck and explore the dramatic rocky bay. 13:30 Lunch: Gorge on some of the best local food at Gille Brighde Cafe & Restaurant which serves one of the best seafood chowders I’ve ever tasted. The cafe really focuses on sustainable produce, all within a homely setting. It’s so unique and the team are amazing! 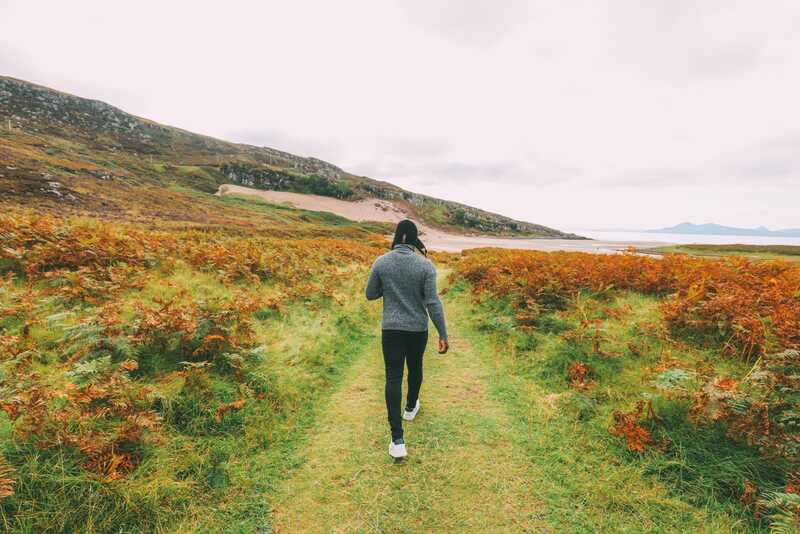 15:30 Time for a short hike: Stop off at The Torridon Activities, Located on the shores of Loch Torridon, it’s the perfect place for a little stroll, mountaineering and kayaking, time-dependent obviously. Make sure you pack a good pair of walking boots, waterproof jacket and trousers, and warm thermals. You can also stay at the Torridon Hotel, which is in a picture-perfect setting. 20:00 Dinner: For dinner, head to Shieldaig Bar & Coastal Kitchen and gorge on some of the hand caught shellfish that they sell fresh each day. 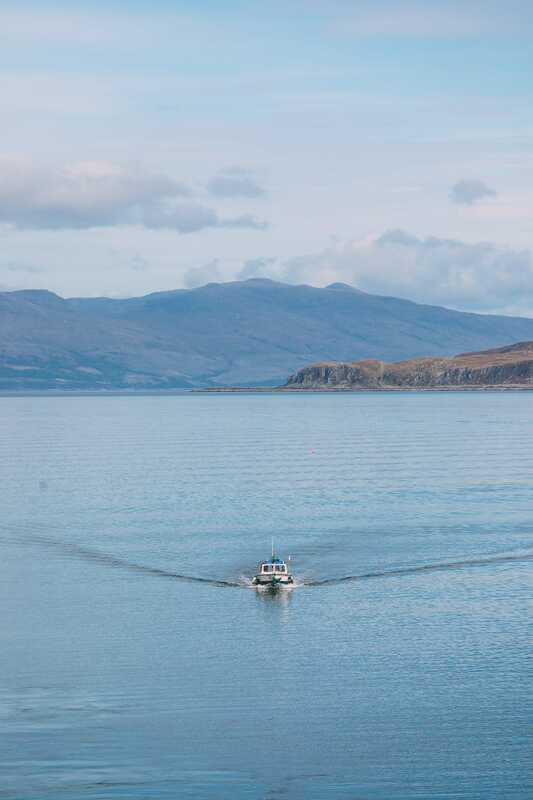 09:00 depart Torridon Hotel: (or alternative accommodation in Shieldaig) and drive from Shieldaig to Applecross Sands Beach (1h / 23 miles via the coast) – it’s one of the prettiest coastal roads in the Highlands. 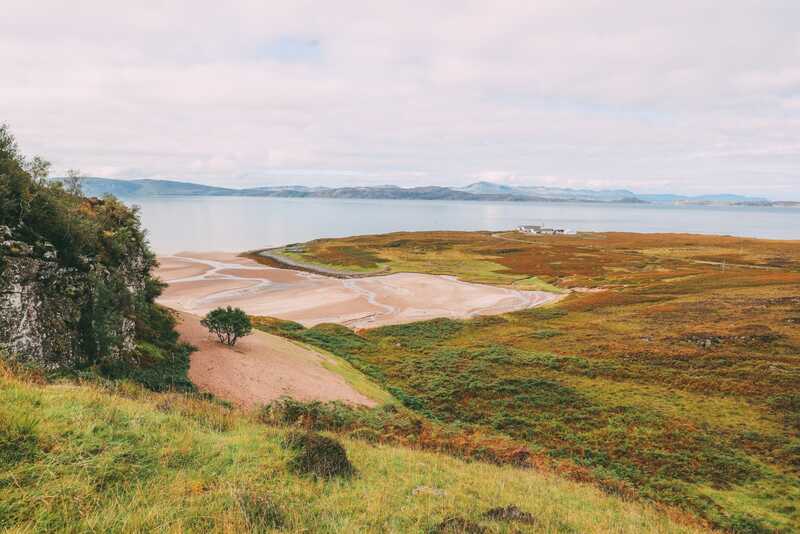 10:15 Spend some time at the beach: After a little drive, make sure to take some time to stop at the Applecross sands beach (about 7 miles north of Applecross). It’s really easy to spot when you’re driving down and it’s likely you’ll make a few new friends on this tiny road too. The Highland cows are everywhere. 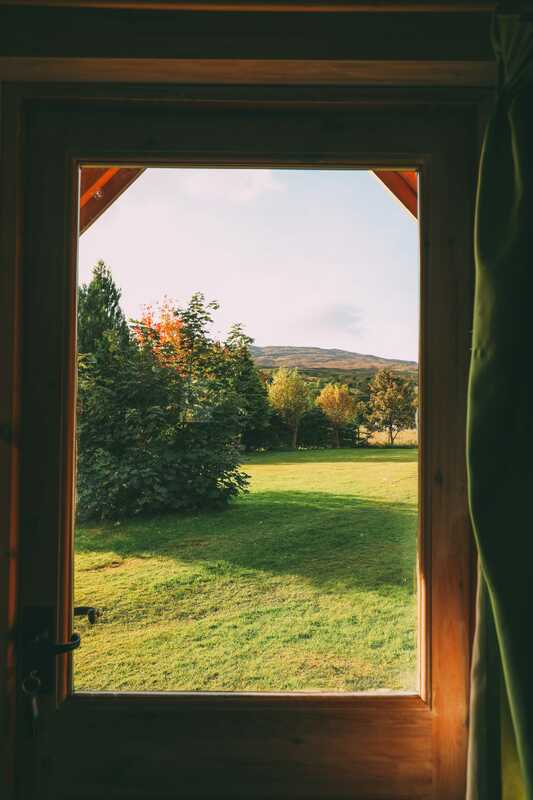 11:00 Drive to Applecross Walled Garden: On your drive to Applecross, make sure to keep a lookout for the breathtaking views to the Island of Raasay and the Isle of Skye beyond. Once you arrive, grab yourself a Tunnocks teacake and a piping hot cup of Scottish tea. 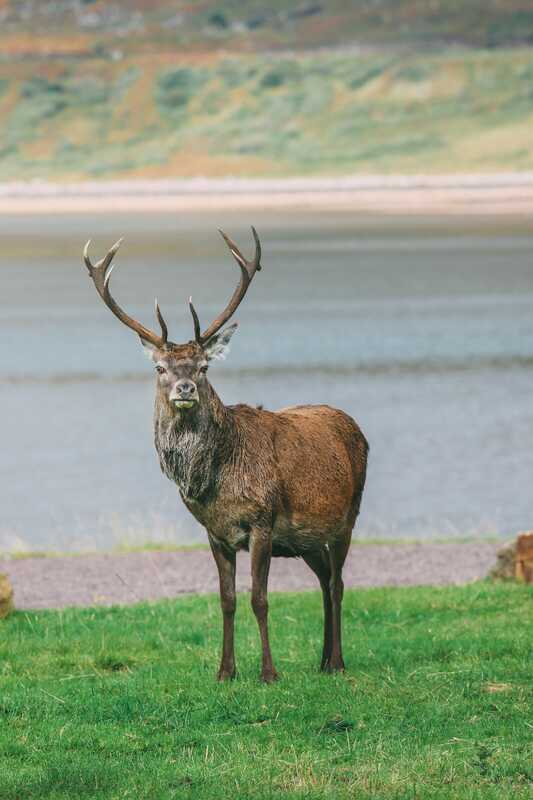 12:00 Explore Applecross: Spend 30 -minutes or so walking this tiny little village and see if you can spot the deer that roam freely around the town. We spotted 3 on our visit! Also, you can pop into the Applecross Walled Garden which is situated on the edge of Applecross itself. 12:45 Lunch: Gorge at a typical Scottish pub, The Applecross Inn (postcode for GPS, IV54 8LR). Here they have a range of seafood and proper pub grub that’s so tasty. We went for the fish and chips (with lashings of vinegar). 13:45 Drive to Lochcarron and onto Plockton: The total drive her is around 90-105 minutes but I guarantee you’ll stop in many areas. This drive will take you straight onto one of Scotlands highest mountain passes (which you can read more about, here). 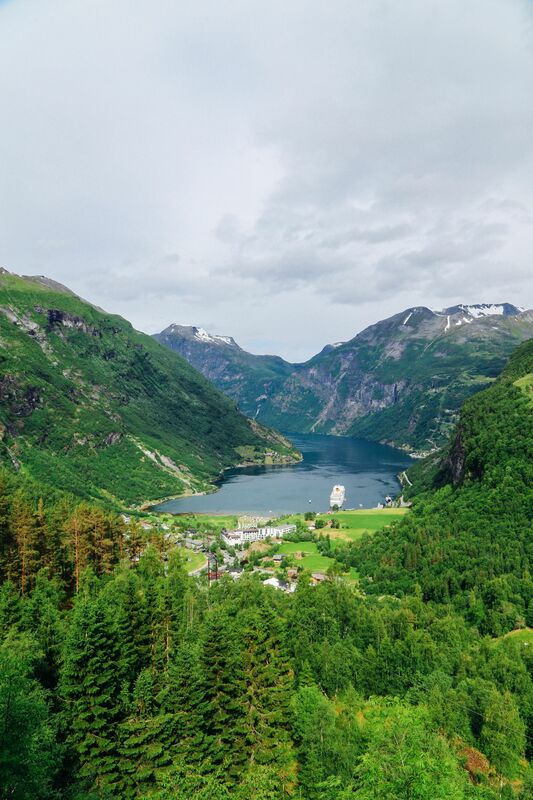 The road itself climbs about 2500 ft and with the incredible hairpin bends and glacial landscapes, I guarantee you’ll want to stop many times. 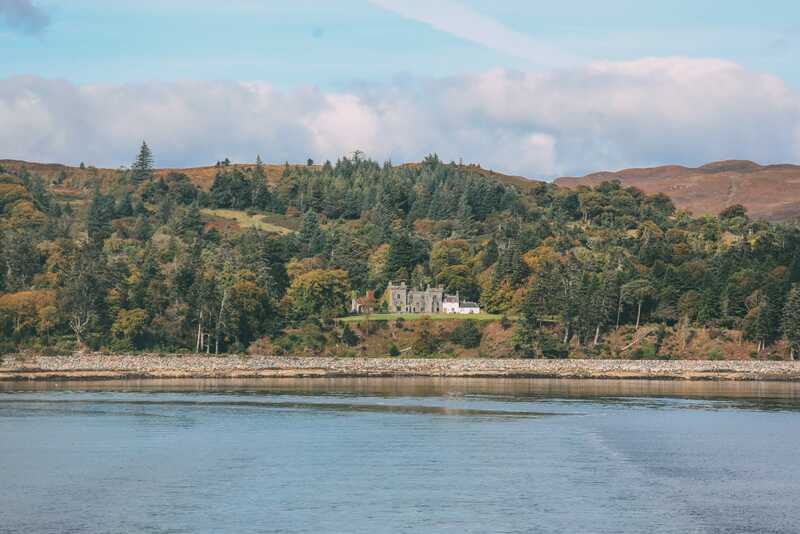 15:00: Stop offs: On your drive towards Plockton, you’ll be able to make a few pit stops at places like Strome Castle or the Locharron Weaver Shop. 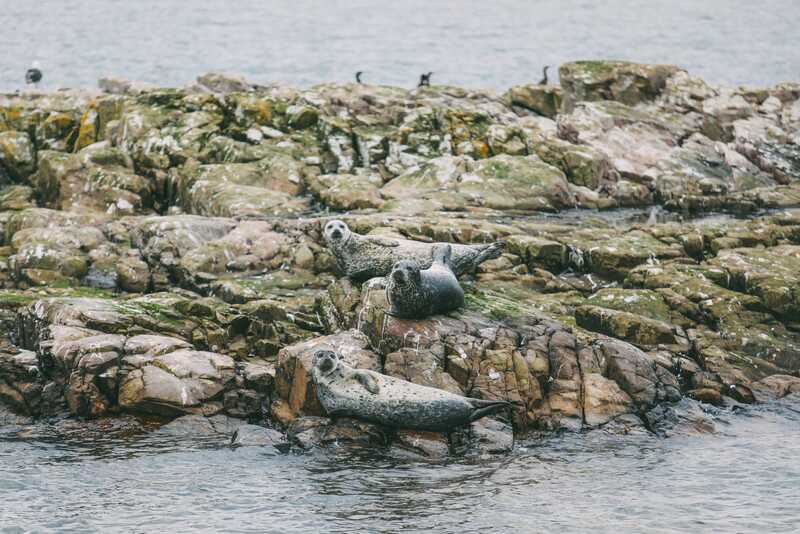 Head out into the waters on the Sula Mhor (Calum’s boat) and keep your eyes peeled for these cute seals. We had the best time exploring the waters, watching the cute seals with a hot chocolate in hand. It’s a very special experience. 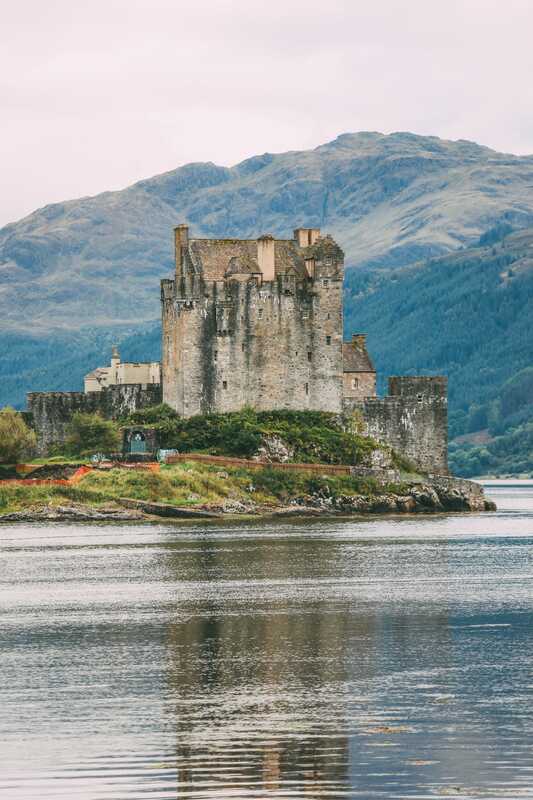 17:00 Visit Eilean Donan: If you’ve time, take a 25-minute drive to Eilean Donan Castle. 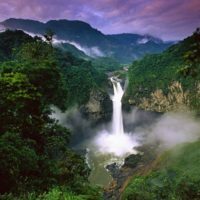 it’s a picturesque place that’s well worth seeing when you’re in the area. 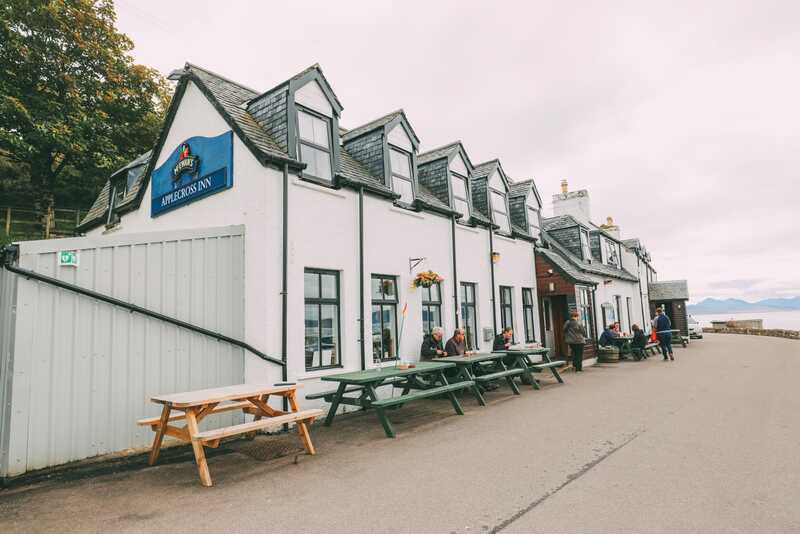 18:30 Check into your hotel: Stay in the centre of picturesque Plockton at the Plockton Inn (32 Harbour Street, Plockton IV52 8TN )and have a few hours of well-deserved rest and relaxation before dinner in the Inn. 20:00 Dinner at the Plockton Inn: Gorge on some delicious haggis, fresh seafood or go for some Scottish beef. It really is a delicious restaurant serving some Scottish favourites. 09:30 Drive Plockton to the Isle of Skye: The drive itself will take around 40-50 minutes. 10:15 Welcome to the Isle of Skye: Now, for us, we only spent a very brief morning on the Isle of Skye (something which we regret). What we would recommend, if you have time, is to spend at least one night stay on the island itself. 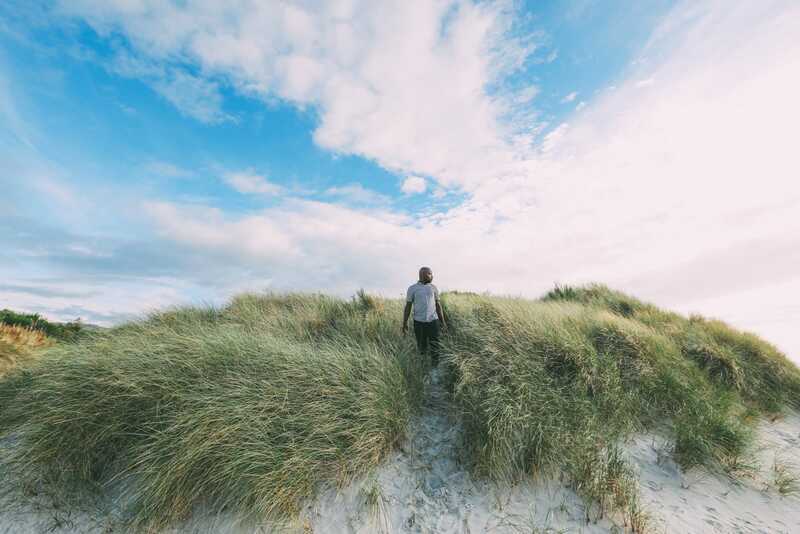 It gives you much more time to head out into the gorgeous mountain ranges, discover some of the tiny hamlets and experience the charm of this gorgeous Scottish Island. 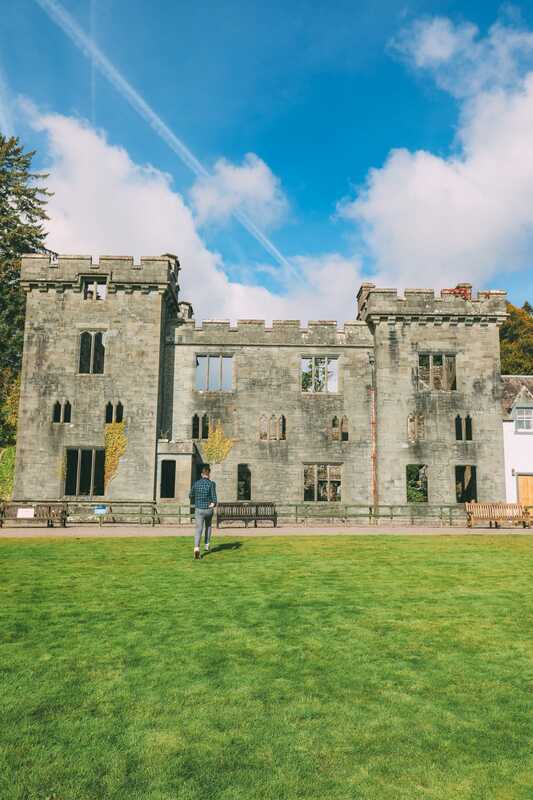 As we were on a tight schedule to experience some other incredible areas, we made a fleeting visit and decided to stop at Armadale Castle and pop into the Museum of the Isles. 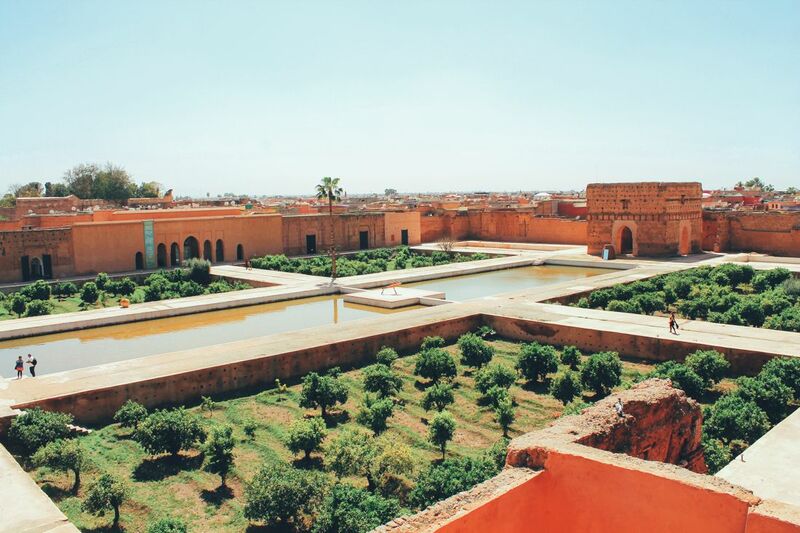 Spend around 45 minutes exploring this gorgeous place before heading further south. 11:00 Dunscaith Castle: If you have time, drive to Toskavaig bay between Tarskavaig and Ord and walk to Dunscaith Castle where you can discover one of the islands oldest standing castles. 11:45 (or later, if you wish) Ferry Calmac to Mallaig: Grab yourself a ticket to hop on board the ferry from Armadale to the mainland, Mallaig. The crossing takes around 30-minutes. 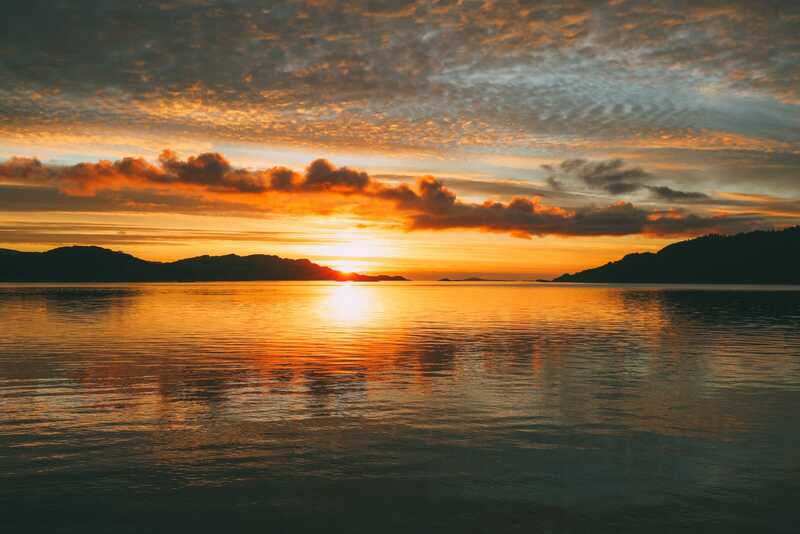 12:15 Hello Mainland Scotland: After a morning on the Isle of Skye, drive straight to Arisaig where you’ll be heading for a slower-paced exploration of the region. 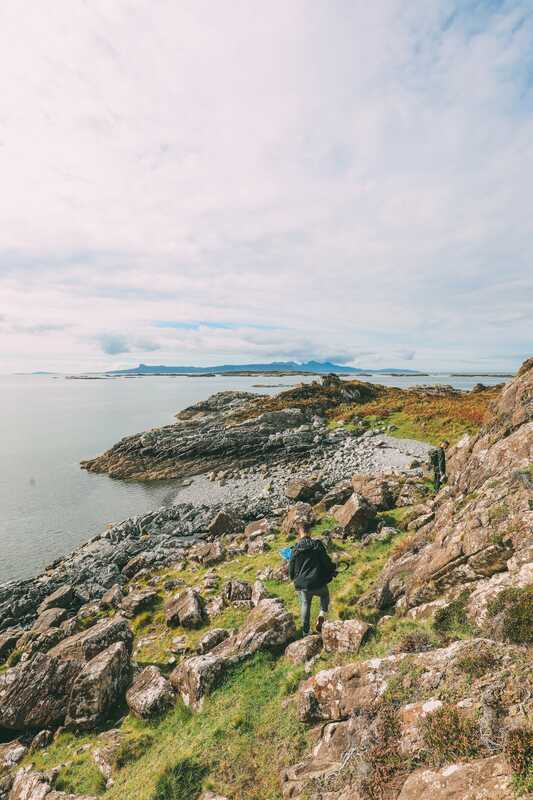 13:00 Forage for lunch: After arriving in Arisaig, meet up with Leon and his team from Wildwood Bushcraft who will take you on a slow adventure to forage for some food on the shores of the Scottish Highlands (see our full post on this, here). You’ll get to eat raw limpets, mussels and get lots of seagrasses, scurvy grass (that tastes like mustard) and Common Sorrel (that tastes like apple). Once you’ve foraged a decent amount, you’ll start a small fire with Leon where you’ll cook your just picked seaweeds and shellfish to cook a meal for lunch. 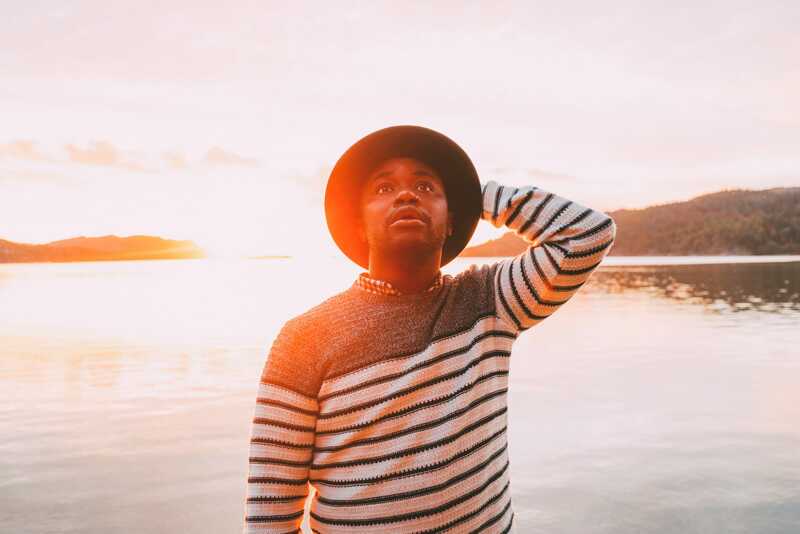 It was one of the best experiences we had in Arisaig and so unique. 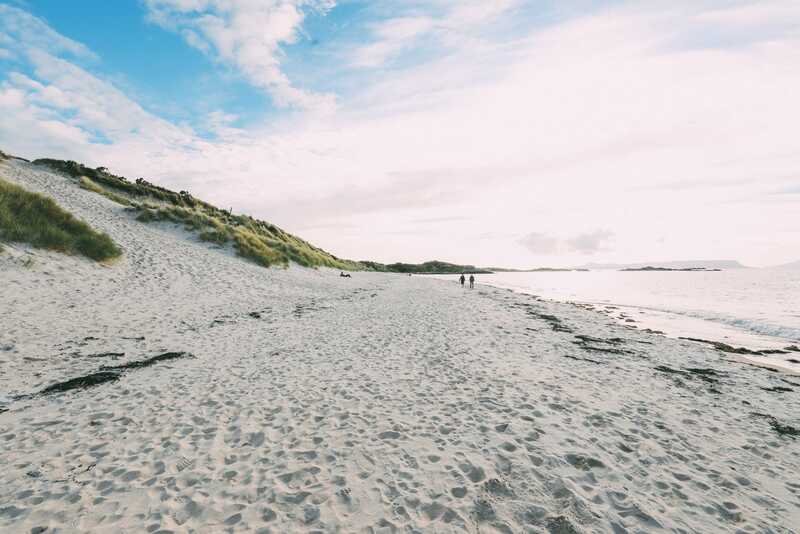 16:00 Drive from Arisaig to Camusdarach Beach: The drive will take around 15-20 minutes and make sure you head along the beautifully scenic coast road between Arisaig and Morar. Once you get to the beach, you’ll be greeted by stunning white powdery sand, turquoise waters and hardly anyone in sight. It really is a hidden gem that’s beautiful any time of the year. 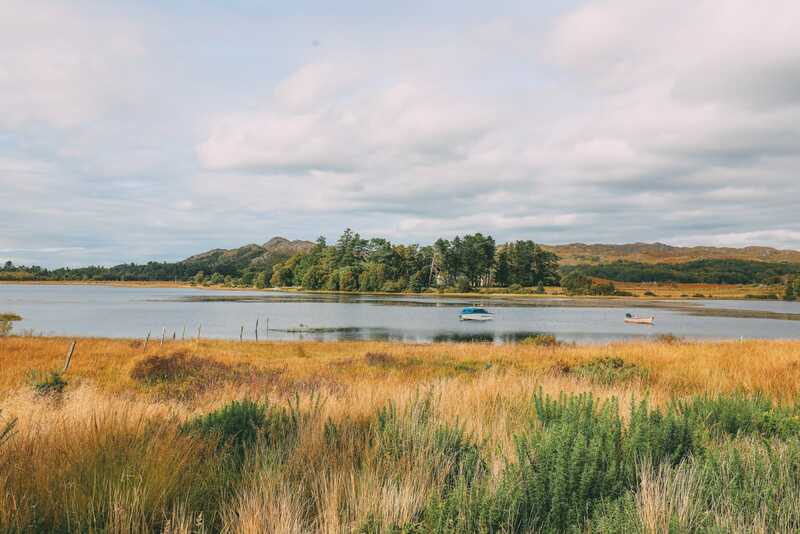 17:30 Drive from Camusdarach Beach – Acharacle (Ardnamurchan Peninsula): after enjoying the relaxed charm of the beach, head straight to Acharacle which is about 60-75 minutes away. 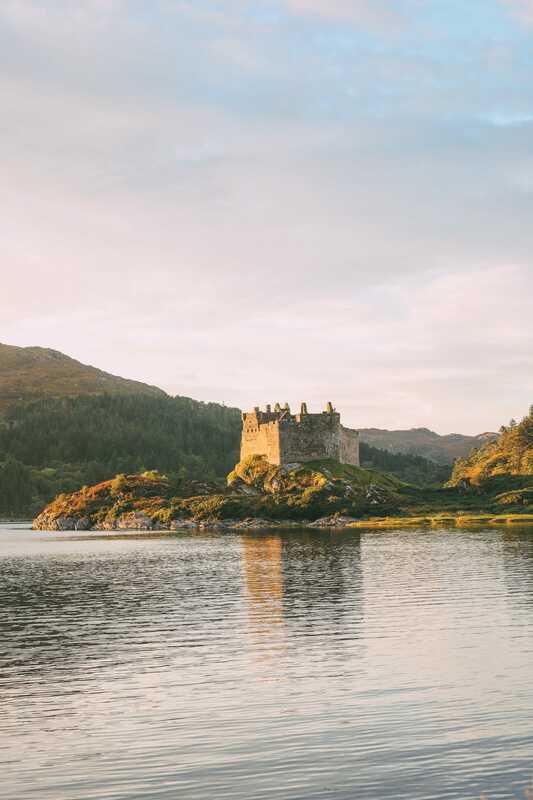 18:30 Arrival in the Ardnamurchan Peninsula: If it’s still light, head straight over to Castle Tioram and enjoy the sunset over the loch. It’s an incredible sight – just be prepared for a few midges or two. We visited in Autumn and there were still a few around. 19:00 Check into the Loch Shiel Hotel: The Loch Shiel Hotel is a family-run hotel that feels typical of Scotland. It felt cosy and everyone was so warm and friendly. 20:00 Dinner and drinks: We spent the evening chatting with the locals at the bar and gorging on some of their homemade food that’s delicious. 09:30 Breakfast: Grab a hearty Scottish breakfast. 10:00 Rent a bike: A second day of being more relaxed and on a slow adventure, make sure to reserve yourself some cycles from Sunart Cycles (which Tim, from Sunart Cycles) kindly delivered to our hotel for us. Once ready, head out for an exploration of the area. 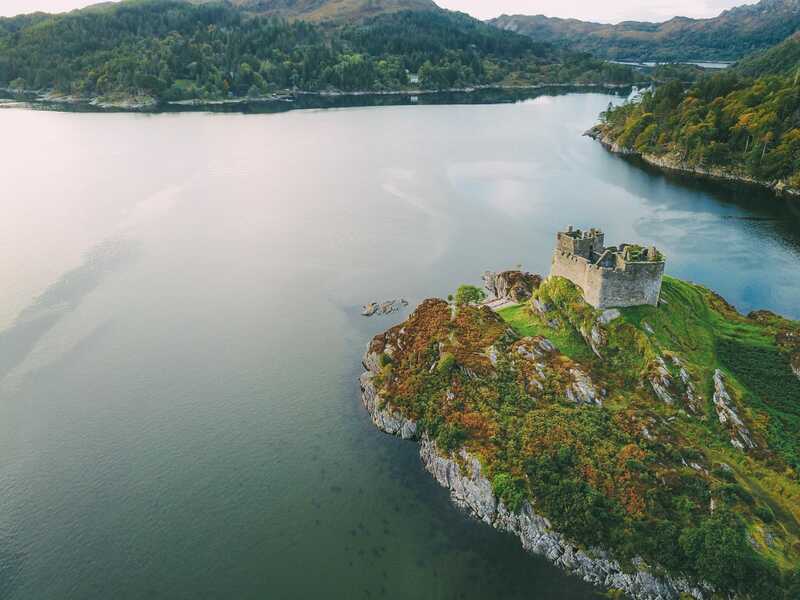 Of course, you can explore the loch, the hilly roadways and also the tidal island of Eilean Tioram where Castle Tioram calls home. 13:00 Head back to the hotel: Drop the bikes back at your hotel (agreed with Sunart Cycles). 14:00 Drive to Ardnamurchan Distillery: The drive itself will take around 20-minutes and it’s well worth a visit if you have a hankering for some good-quality whisky. You can tour the distillery and they’ll even let you taste a few. The postcode for the distillery is PH36 4JG. 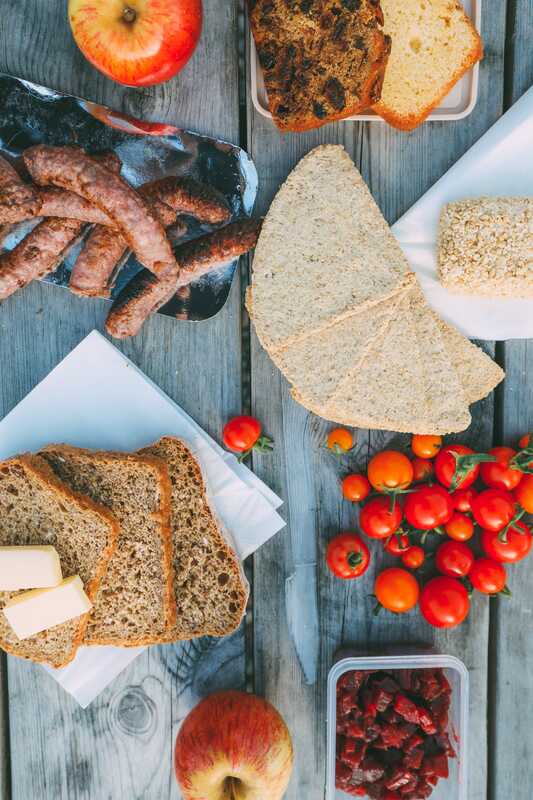 15:00 Picnic time: After all that biking and distillery touring, grab a picnic basket from Sunart Centre and head to the edge of the loch for a scrumptious picnic of local cheeses, fresh vegetables, hearty sandwiches, and plenty of locally-produced pates. If you’re feeling extra indulgent, ask the lovely team if they have their sticky toffee pudding available and take some away with you. I promise you, it’s amazing – especially when heated up. 16:00 Drive Glenbeg – Strontian: About 30 minutes and beautiful. 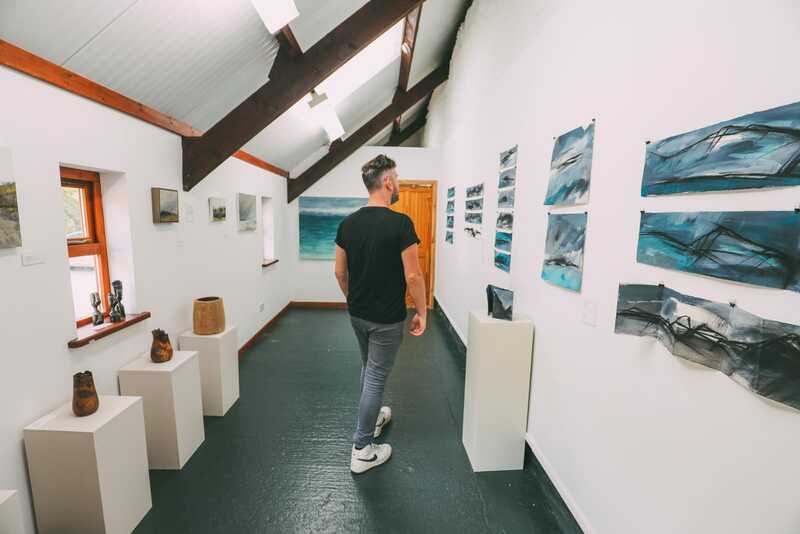 16:30 Visit an artist studio: On your way from Glenberg, make a pitstop at Resipole Studios in, you’ve guessed it, Resipole. Andrew Sinclair and his team have made an intimate artist studio that showcases some beautiful art that you can buy right off the wall. The postcode for your GPS is PH36 4HX. 17:00 Check into a cedar wood cabin: Today, it’s time to check into your very own cedar wood cabin. Head over to Sunart Camping that has a range of cute little cabins that are perched in their grounds. The cabins have lots of heating so they’re really toasty and they’re designed to be well-insulated to limit the environmental impact. There are one or two lodges that have an ensuite, so make sure you book this. 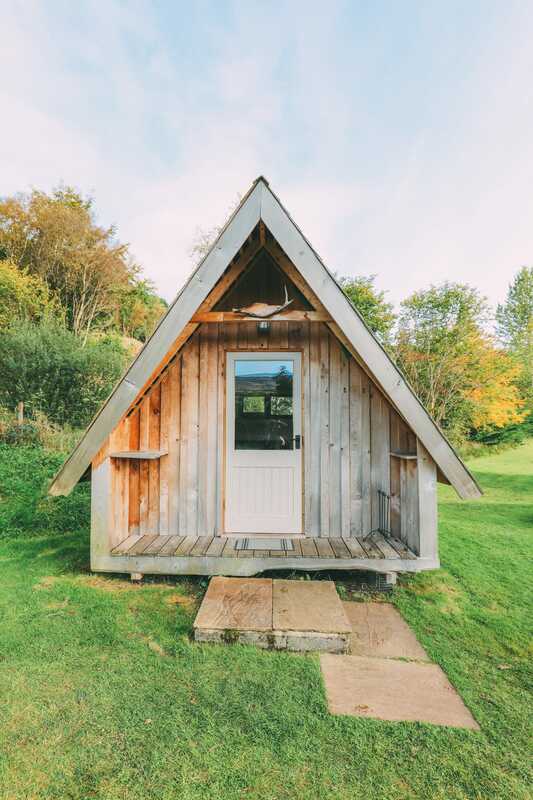 We stayed in one without an ensuite, which was all good but, in hindsight, I’d have preferred my toilet and shower inside our cosy little cabin. After all, I love my creature comforts. 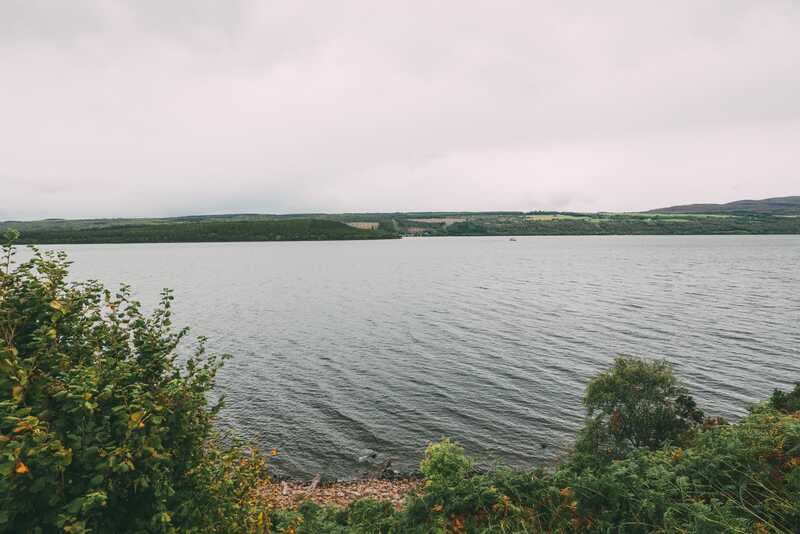 19:00 Dinner at Kilcamb Lodge: Around a 15-minute walk from your cedar lodge, Kilcamb Lodge is an award-winning restaurant and hotel that sits on the edge of the loch. They specialise in local Scottish Seafood, meat and game. 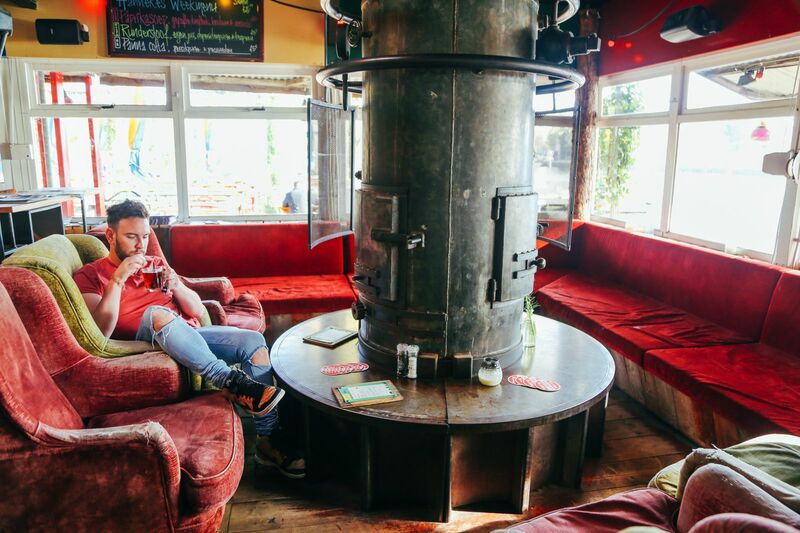 You’ll have a truly authentic taste of the highlands in one gorgeous restaurant we visited. It really is amazing. The postcode for your GPS is PH36 4HY. 21:00 Grab a nightcap: Before leaving Kilcamb Lodge, head to their sitting room with a crackling fire and enjoy a hot toddy before your walk back to the cedar lodge. 09:30 Breakfast: As with your picnic the day before, head to the Sunart Centre for a tasty Scottish Breakfast. 10:30 Drive Strontian – Ardgour: Make sure to head straight to the ferry terminal, you can’t miss it – the drive takes around 25-minutes. 11:00 Board the Corran Ferry – Ardgour – Nether Lochaber: Taking about 10-minutes, the ferry departs every 20 minutes or so and costs under £10 for a car. 11:15 Drive Nether Lochaber – Fort Augustus: This drive will be on a slightly bigger road, with the drive time being about 75-minutes. 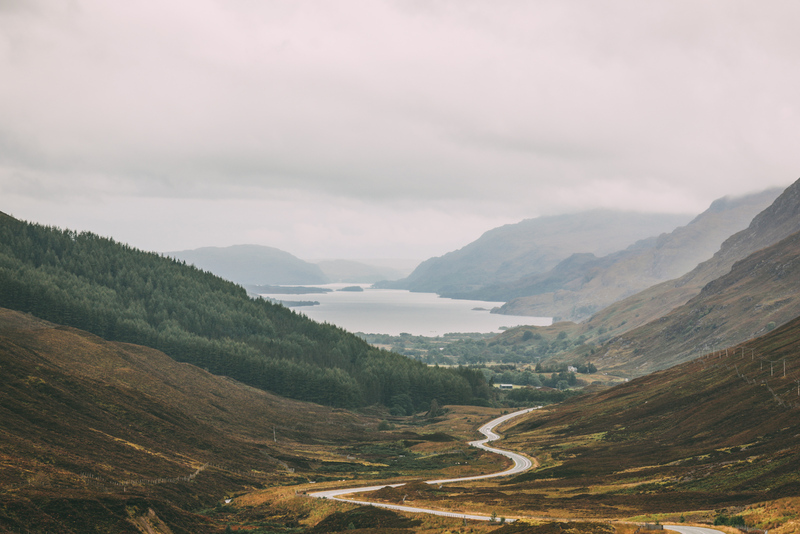 On the way, you can stop at Fort William or the Glen Nevis Visitor Centre if you’re looking to learn more about the largest mountain in the British Isles. 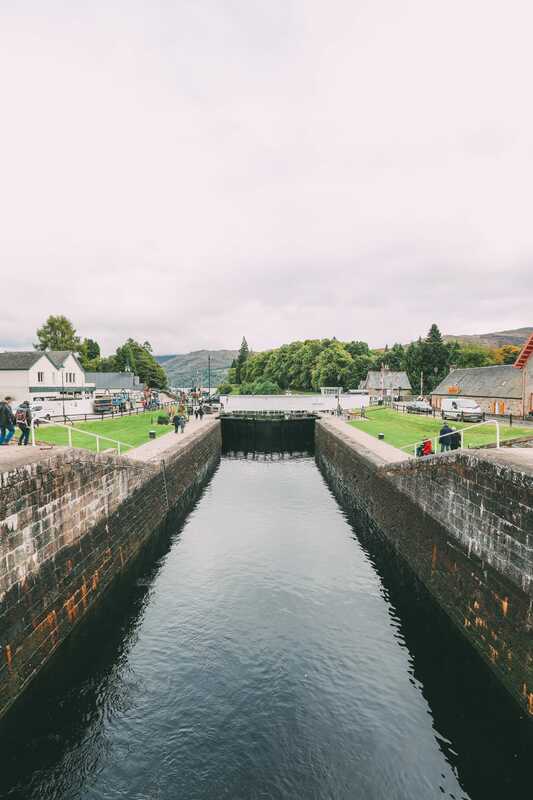 13:00 Lunch in Fort Augustus: On your way further north, make a stop at Fort Augustus where you can head into the Lock Inn for some tasty grub. 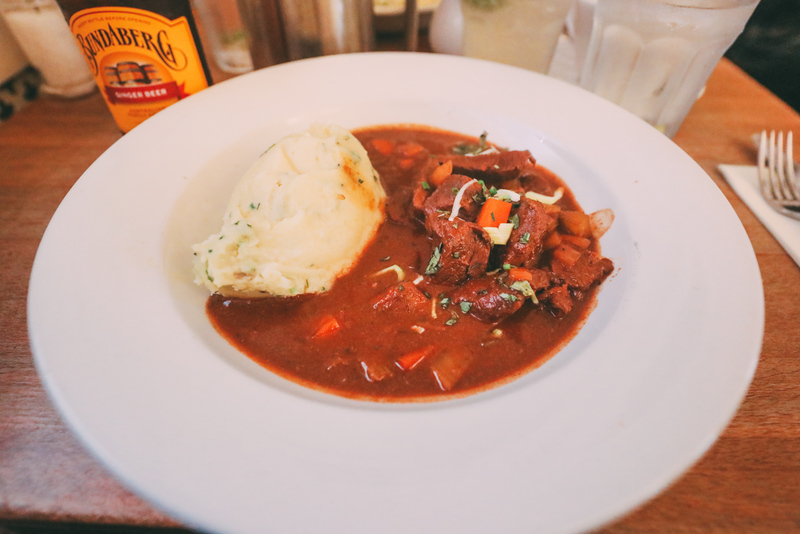 We had a tasty beef and ale pie which was so yummy. After lunch, walk the canal way and explore a little of the town before popping back in the car. 14:30 Drive: Start the ignition and head from Fort Augustus along South Loch Ness towards Dores. the drive will take about 50-60 minutes. 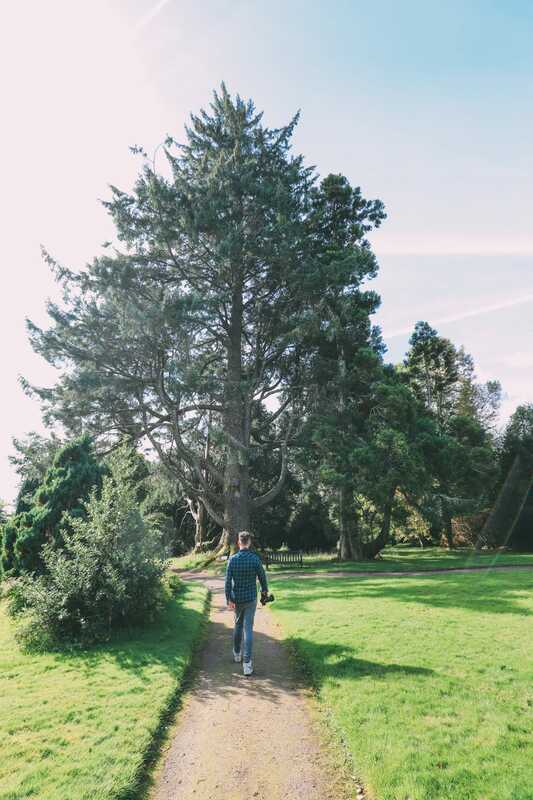 If you have some more time, make a few stops to look out for the Loch Ness Monster and head on the Loch Ness trail which is a great route to walk if you’re short on time. If not, consider a longer trail or visit Spean Bridge, the Commando Memorial Monument or keep a lookout for the Nevis Range in the distance. 15:30 Drive to Inverness and Dolphin Spirit RIB trip: After arriving in Inverness, head straight over to Inverness Marina to ride the RIB boat. If you’re lucky you’ll spot some of the local dolphins that call this area home. The team will kit you out in thermal gear and goggles so you’ll be nice and warm. All you have to be concerned with is spotting those dolphins. The postcode for the Dolphin Spirit RIB trip is IV1 1FF. 18: 30 Head for a snack: After your two hours out at sea, head to the city centre of Inverness (particularly near the train station) and pop into one of the many local restaurants that line the streets. 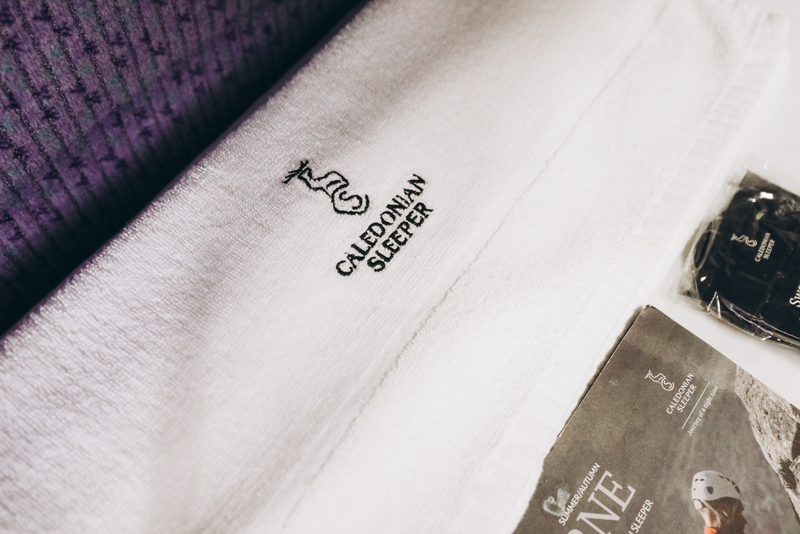 20:44 Board the Caledonian Sleeper/Flight/Car/Rocket: After an epic adventure, book yourself into a private sleeper cabin where you’ll have a comfy white-linen bed, some Scottish toiletries and wake up call of Scottish salmon and scrambled eggs. For dinner, head to the restaurant cart onboard the sleeper and enjoy some typical Scottish meals and a few glasses of wine before retiring to your cabin and bed.